Holy Grace school situated outskirts of Mala town, in Thrissur district, Kerala. 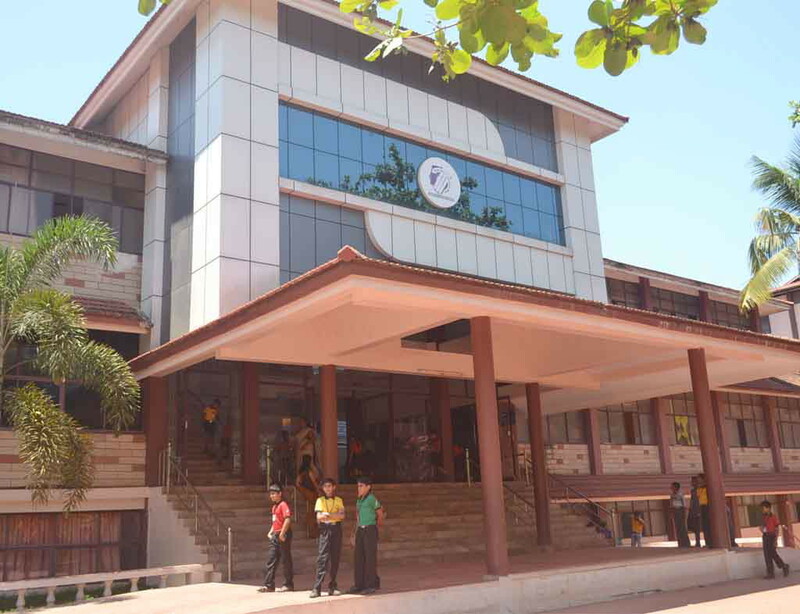 The Management of Holy Grace Academy Kuruvilassery, Valiyaparmbu Mala claims it is "the School with a difference". In-fact one who realize the differences shown in the past we admire and appreciate them because of their performances. When they started Holy Grace Academy, their philosophy was new to the village people, now follows many. 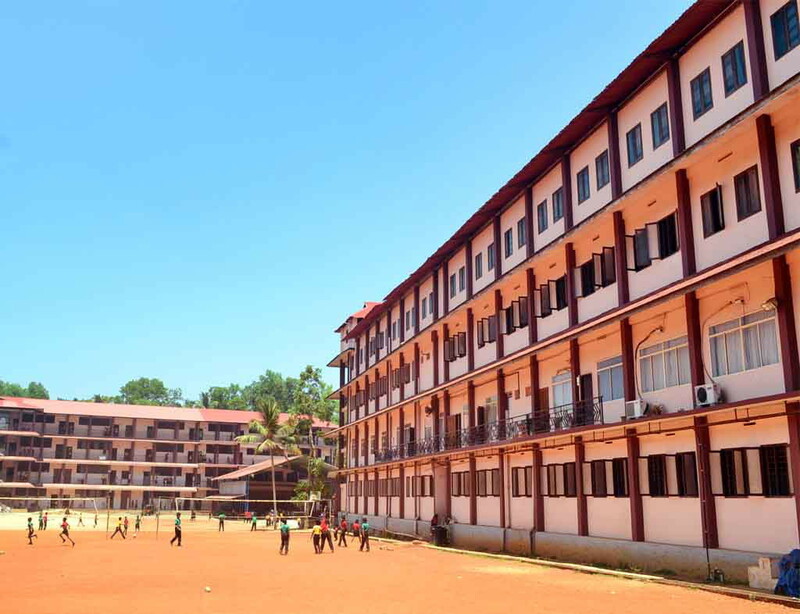 Holy Grace Academy Mala Kerala is the only Schools in Kerala to impart +2 Classes along with Entrance Coaching for Medical and Engineering courses. 1. Dr. C.K.G. Nayar (Biology) - Former H.O.D., Christ College Irinjalakuda. 2. Dr. K.T Jose (Maths) - Formar H.O.D., Barath Matha,Thrikkakara, Kochi. 3. Prof. Thmas Koyikkara (Maths) - Former H.O.D, St.Thomas College, Thrissur. 4. Prof. Johnson N.L (Chemistry) - Former H.O.D., St. Alosious College, Elthuruthu. 5. Prof. Girija (Physics) - Formar H.O.D., Carmel College, Mala, Thrissur Dt. 6. Prof. Nandakumar (English) - Formar H.O.D., NSS Ottappalam. Holy Grace Academy Kuruvilassery, Mala has Weekly IAS Orientation from Std. VII onwards by expert faculty from IAS Coaching Centre (only school in India). Holy Grace School Mala trains their students Confidence building, adventurous, exercises like Rapling, Cave Exploration, Mountaineering, etc. (only school in India). Connected with 512 Kbps internet dedicated leased line and protected with firewall security system (only school in India). Training given in Advanced Computer Education (C++ training start Std. VI). 2 Computer Labs Having 50 computers, all LANed and connected With 2 Mbps internet facilities and available to student without interruption. 2 Teachers at a time in all Maths Classes. Shooting, horse Riding, yoga, Roller skating, Brake dance, Instrumental music, Dance Etc.. Full-fledged Personality Development Department and Academic & Research Department. Every Student has to Perform at Least 5 stage programmes a year. Special remedies for children with Learning Disabilities. Monthly Seminars and Debates session. All students from class V to Participate in rotation. Student friendly study material in all classes. 30% class time is set apart for para-academics. Daily news writing from III Std. onward. Experts lecture on concerned textual portion and Interaction with eminent personalities. Training in debates G.D. Speech etc., done 3 day a week in all classes. English is the language of the Campus. Compulsory games from 2:45 pm 3:45pm daily. Pioneers in introducing light weight bags and file bag systems in the country. Phone number for Holy Grace Academy Mala: 0480-2893366, 2891647. How can I get admission here? Some of my friends studys there ,they always tell that "this school is the most wonderful school in whole kerala".so,my friends ask me to join there and study with them and of course i agreed too.on 21-2-2011 i am going to write exam in HOLY GRACE-MALA.I wish the question papers be not tough.I dont want to make my parents thinksad about me . Iwant them to be proud of me. 1. Does it have opening for a first standard student for the academic year 2011-2012? 2. Does it give admission after the first term, for a first standard student? 3. How much is the donation for the above class student? Please advise me the formalities for getting my son in to this school. He has completed his 10th grade, here in Abu Dhabi in CBSE stream, this year and is awaiting his results. He has been scoring 'A or A+' almost throughout. Before coming here in Abu Dhabi he was a student of CKMNSS School, Chalakudi, till 6th grade. And kindly inform about getting admission in to your school hostel, too. Admission to your hostel is essential since my family is with me here though I am from Meloor village which is not very far from there. Please reply me soon so that I can plan accordingly. we dont want class on saturday . please sir . we dont get enuf time to study . i reach home at 5:45. We get very tired and wont b able to study. this is a request frm our side . My dear student This school is something different than other school so you have to follow school management decission. ok. I am Prakash from Sultanate of Oman. I would like to know the formalities and chances for getting admission in 11th class CBSE, for my son who is studying in Indian School, Sohar, Oman. I wish to keep him in boarding. Please reply to me in the above mail Id. Kindly consider of making Saturday as holiday in Holy Grace Academy School Mala. I know, you may have to cover the portions of subjects. Considering the work load for students, teachers, parents, consumption of fuel, etc. but still it will be great releif. I agree with Sabu Joseph. I agree with Sabu Joseph. Nowadays, there is very little time that the members of the family join together and interact each other. Saturday and Sunday are the only days where children are given to join their family. It is essential to release the stress of studies and for their social needs. In compensation, the school hours can be extended one hour more on the other working days. Please consider this suggestion !! This school is something different than other school. so saturday workingday means the school management might have their planning. so just keep follow it. My house is located at Chembanoor near Telk Angamaly. My son is studying in your school in the 9th grade and he is in the Hostel. 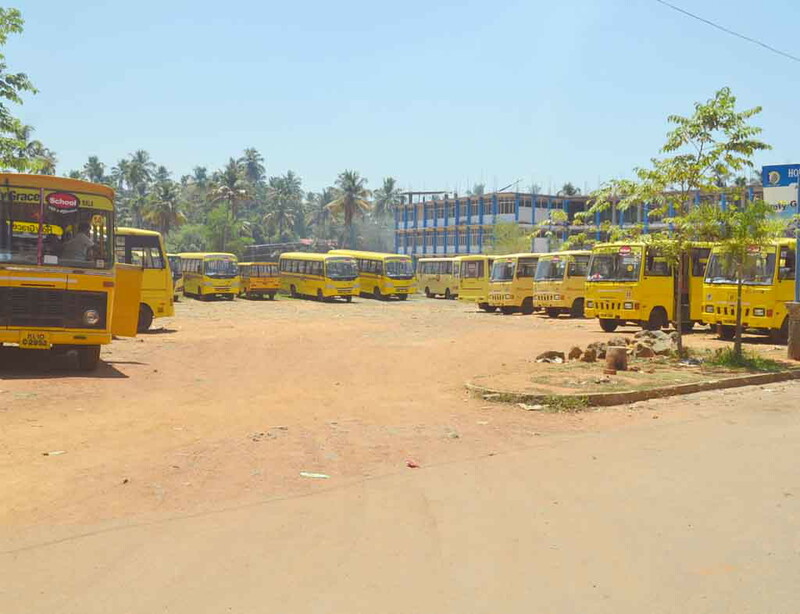 I would like to know if it is possible to get school transportation facility to our location. If yes, I would like my daughter also to get school admission in your school. Kindly give your reply the earliest possible. I am Soman from trichy,tamilnadu.My son is studying in 9th standard in Kendriya Vidyalaya.I want to join him with boarding facility in your school for his 11th and 12th classes.Please mail me in the above address regarding your school's admission procedure. My son is currently studying in the INDIAN SCHOOL BAHRAIN, In the 9th grade. I am looking forward to getting my son an admission in your school. So please contact me with necessary details. hi i heard that the school is having a bad times and a lot of students are moving out of the school, and the 10th standard syllabus has not completed so i would like to know the security of the students as one of my relatives is studying here. so plaese reply to it. is there french language being taught in this school? my daughter is studying in grade 9 in dubai. her second language is french, is there french as the second language in your school for grade 10? as she wants to join there the next year. One of my friends telling that the school, facility and the management etc. are very good and appreciable. But the teaching and teachers standards to be increased. why you are giving more priority to outside teachers ? My son is studying in Oman in 4th std in Indian school Muscat CBSE.We wish to join him in your school for the 2013 academic year. But he needs residential facility because we are working & staying in oman. 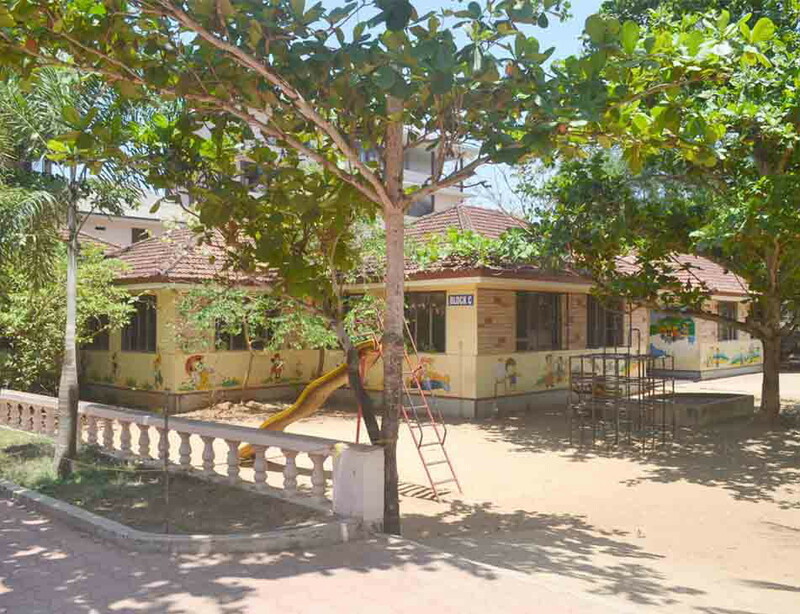 we wanted to know about the admission procedures, donation and the accomadation facilities. Can you please tell me what are the qualification ineed to join your academy as well as procedures in applying for it. My daughter is studying in class X in Saudi Arabia.Next year we wish to take admission for her at Holy Grace Academy in class 11.She got above 95% marks in every subject this year. We want to know whether there is any problem in getting admission in your school?If no then what is the donation we have to give?Also she will be staying in hostel there.So what is the hostel fee?When will the admission for class 11 be starting? Hope you will be replying for this questions. Currently my Daughter Studying in KG1 at Bhavans Public School, Doha, Qatar. I would like to shift my family to india in next year. So I want to know if it is allowed to join KG 2 and what are the Procedures for this. My daughter is studying in 10th STD in Carmel School Kuwait, require admission for 11th STD, kindly let us know when the admission start and what are the process. my name is raghu, we are living in Dubai. my son is studying in Dubai. I would like to sent him to your school. Now he is in 8th std, so we are looking for 9thstd from next academic year, if could sent me the details and the chances of getting there in your school, that would be grate help. I am from UAE and planning to relocate to Kerala by 2016. Would like to know whether there is French to study as second language instead of Malayalam from Std VIII in your school? Please advise urgently the possibility to admit my brother's daughter to 9th standard (CBSE). Appreciate if you could advise of the hostel facilities and the fees. How can I get admission here for 11th and 12th? my name is Jerry, we are living in Bahrain. my son is studying in Indian school Bahrain. I would like to sent him to your school. Now he is in 7 th std, so we are looking for 8thstd from next academic year, if could sent me the details and the chances of getting there in your school, that would be grate help. Giving proper consideration to bright students only. Discourages students who are little weak instead of encouraging and giving support. Worser than the worst..